Home › Uncategorized › Return of the Pistolwhips! Another bitchin’ flyer by Henry’s Rifle. 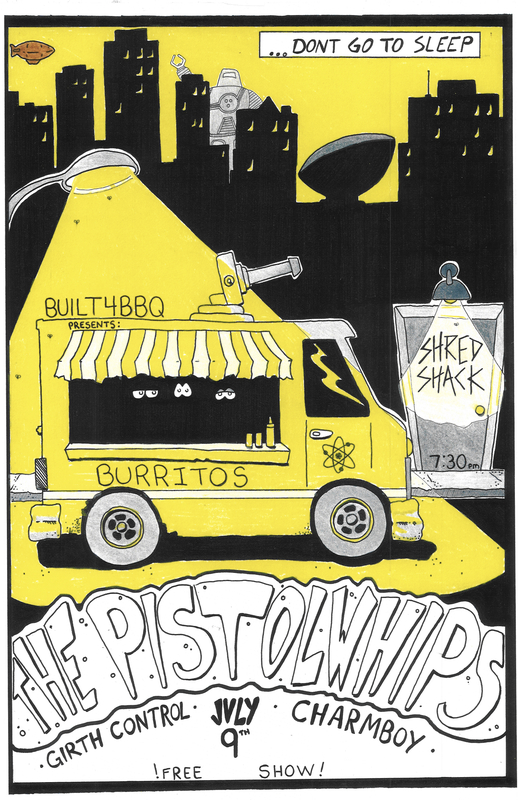 For one night only, the mighty Pistolwhips return to the Shred Shack. That’s right, Albany – the world’s greatest band is back to rock again. Girth Control and Charmboy will shudder in their wake. Zero dollars, maximum shred. Do not miss.